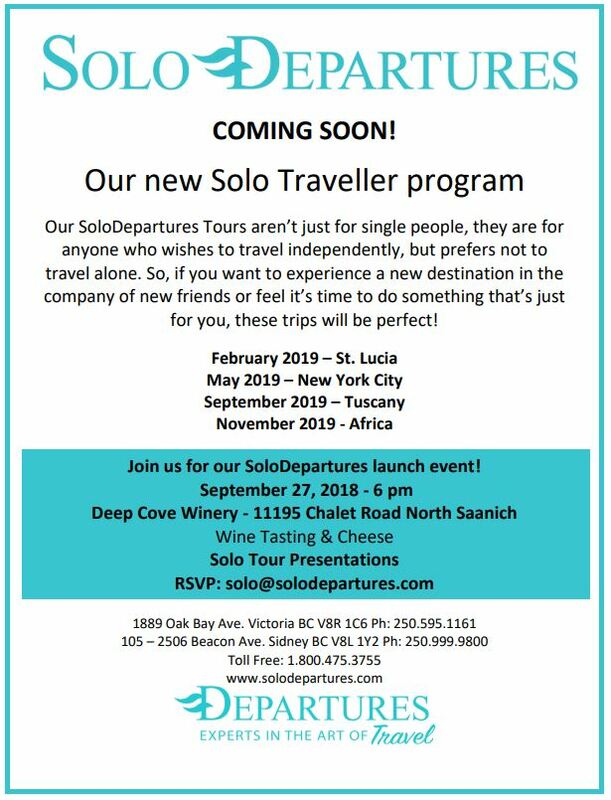 Watch for our new solo traveller program coming soon! To join us for our launch event on September 27th CLICK HERE! Our SoloDepartures program gives you the opportunity to meet and make new friends to explore the world with!